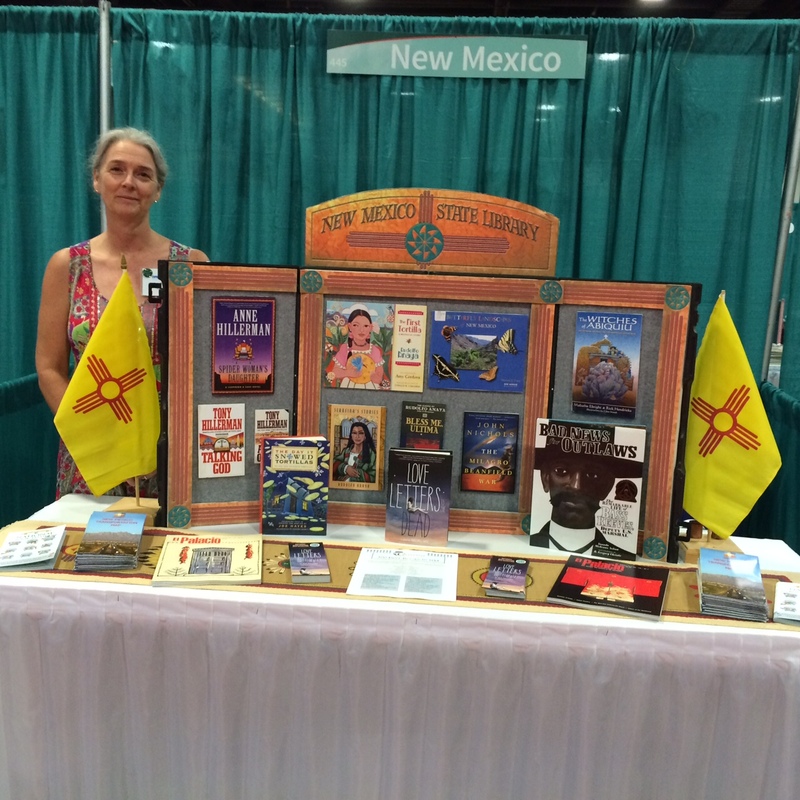 by Ava Dellaira as the book to represent New Mexico in the Pavilion of the States at the 2015 National Book Festival. The book was published to much acclaim in 2014 by Farrar, Straus and Giroux Books for Young Readers. The story follows Laurel, an Albuquerque high school student whose beloved older sister has died under mysterious circumstances. Emotionally frayed by the loss, she unexpectedly finds catharsis in an assignment from her English teacher: write a letter to a dead person. Instead of handing in the assignment, though, she begins an ongoing series of letters to an eclectic group of rock stars, poets, and popular icons such as Kurt Cobain, Judy Garland, Amelia Earhart, and Amy Winehouse. She writes to her epistolary confidants about navigating new and complicated friendships, learning to live with her splintering family, falling in love for the first time, and most importantly trying to grieve for her dead sister. Ultimately, the letters reveal the painful truth about Laurel’s past. 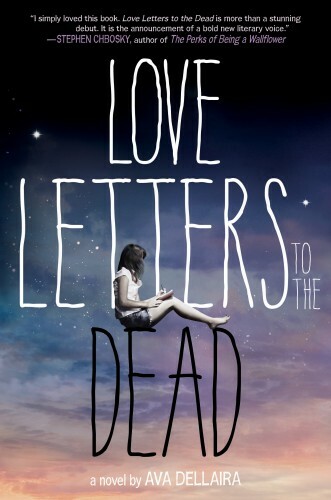 The book was nominated for a Good Reads Choice award and was optioned by Fox 2000 television after Vanity Fair tapped it among “10 More Novels That Could Fuel the Teen-Movie Comeback.” The producers are Temple Hill who have moved from the Twilight saga, to Th e Maze Runner, and most recently, The Fault in Our Stars. Ava Dellaira’s response upon hearing that her book had been chosen was, “Wow! Thank you so much, this is a huge honor! It means so much to me that Love Letters gets to represent our beloved New Mexico, and that I was selected by you all!” She grew-up in Albuquerque and “one of my first memories is of looking out the window of the Cadillac that my family drove across the desert…”. She now lives in California. 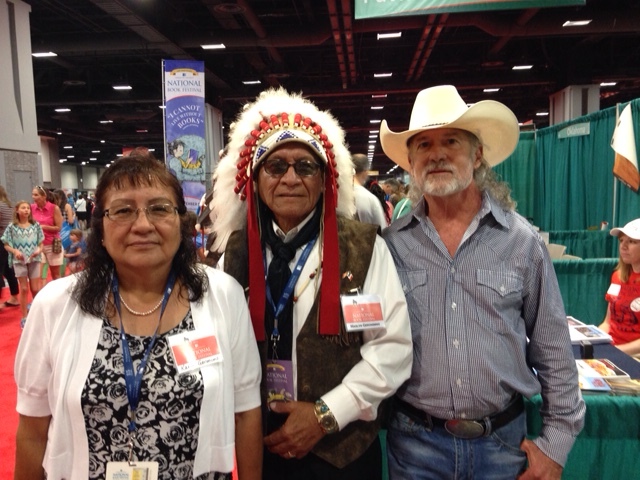 The National Book Festival, organized and sponsored by the Library of Congress, is now in its fifteenth year. 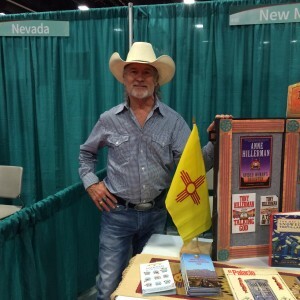 This popular event celebrating the joys of reading and lifelong literacy will be held on September 5 & 6 in Washington, D.C. Lori Thornton, the Public Services Bureau Chief, organizes the New Mexico State Library’s participation in the National Book Festival. The Pavilion of the States represents the reading and library promotion programs and literary events in all 50 states, the District of Columbia, and the US trusts and territories. When people enter the Pavilion they pick up a Discover Great Places Through Reading map of the United State s which they can take around to each state, trust, and territory in the Pavilion to be stamped or stickered. The map includes a “Great Reads about Great Places” list of books on the back. Each state selects a work of either fiction or non-fiction about the state or by an author from the state which is a good read for children or young adults who are the primary audience for the Pavilion of the States. The Pavilion is always very popular and is a celebration of books and reading throughout the country. The Pavilion of the States is organized by the Center for the Book in the Library of Congress and sponsored by the Institute for Museum and Library Services. For more information about the National Book Festival and the Pavilion of the States, please visit http://www.loc.gov/bookfest/. For more information about the New Mexico State Library, please see http://www.nmstatelibrary.org/. 2018 ARSL Conference Registration is Open!